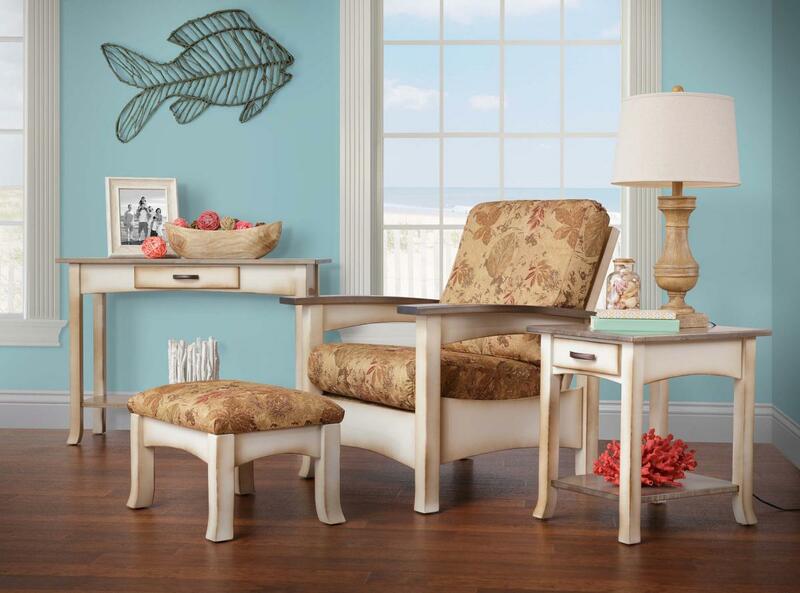 In the month of August Elm Crest Furniture adds to their beautiful lines of mission and shaker style furniture with the “Breezy Point Collection.” This collection upholds the classic and historic style Elm Crest is known for, while lending itself to designer finishes. The chairs, tables, and love seats featured in the Breezy Point Collection are available in cherry, oak, and brown maple wood. Elm Crest’s furniture also features a wide variety of designer stains that are sure to complement each piece in the Breezy Point Collection. To view the entire Breezy Point Collection and to learn more about Elm Crest Furniture, view their profile page. Also, be sure to visit them at the All American Furniture Expo to view these beautiful products in person!